SmithsonHill is a joint venture between Russell Smith Farms and Hill Commercial Investments. Our unique combination of land and expertise in cutting edge farming, construction and delivering community solutions, facilitates the ongoing success of business and local communities. Together we can help Cambridge to retain its global economic position and to contribute to the region’s future prosperity. Specialising in development projects that are respectful of available resources, and how to make the most of them, we know how to encourage and deliver collaboration and knowledge exchange. Attracting the best brains, remaining at the cutting edge of technology and providing environments that will change the future, we contribute to the Cambridge Phenomenon. Working with local communities from the start, we form close relationships to ensure key concerns are addressed and improvements made around significant items such as infrastructure, transport and biodiversity. Hill has an enviable track record of delivering development through joint ventures by applying development expertise to assist partners in securing planning permission, maximising assets and delivering infrastructure and buildings. The Hill Group is involved in many of the key growth sites around Cambridge and the South East of England. Whilst market leaders recognised most recently in the WhatHouse? Awards 2017, the group has become recognised as a multi-sided developer having also delivered schools, offices, medical facilities and even an underground multi-screen cinema. Russell Smith Farms grow 1,500 acres of cereals and sugar beet, and 1,000 acres of organic and conventional vegetables. 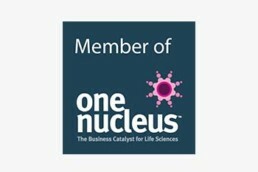 Operating in the heart of Cambridge’s biotech/AgriTech cluster, the organisation is well aware of the benefits to all of the farming and science and technology sectors collaborating and has strong ties with some of the larger seed and plant breeding companies. 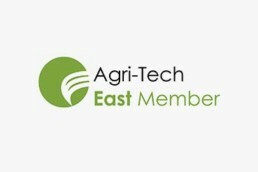 A founding member of Agri-Tech East, Russell Smith Farms also works closely with some of the leading agricultural companies in the R&D field to help bring new products to market. Environmentally and socially responsible, Russell Smith Farms is signed up to the government’s entry-level and higher-level environmental stewardship schemes and is also a LEAF (Linking Environment and Farming) demonstration farm. Russell Smith Farms hosts many local schools, teaching young people about farming and the environment, is a Waitrose demonstration farm and collaborates annually with neighbouring farmers to host an Open Farm Sunday event that attracts over 2,000 visitors. 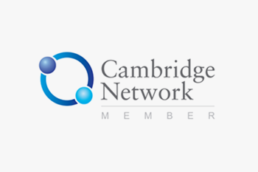 SmithsonHill is proud to belong to a range of organisations and associations, which, like us, aim to progress the local Cambridge market, the East of England and its international footprint.